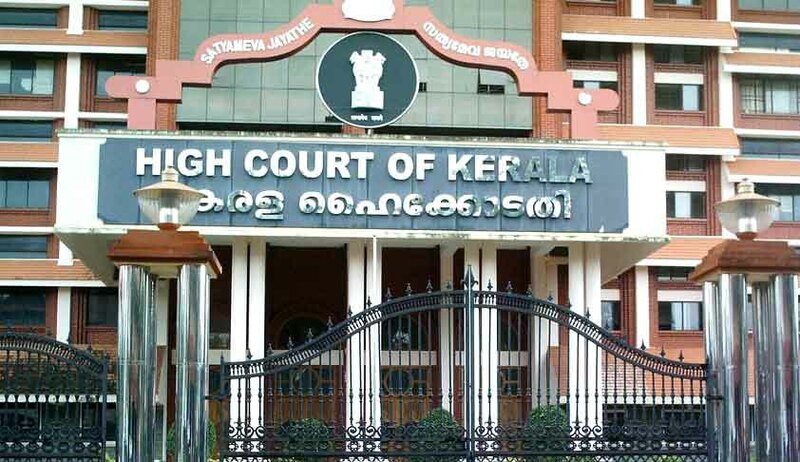 Kerala High Court has ordered Central Bureau of Investigation(CBI) to take over the further investigation of a murder case of a youth aged 21 years in Kannur District, Kerala, from the State Police. The petition for CBI enquiry was filed by the youth’s mother P.C Aathika seeking further investigation on the murder of her son Mr Ariyil Shukoor. The deceased who was a member of a political party(I.U.M.L) was hacked to death on February 20,2012 by a mob allegedly comprising members of a national leftist party C.P.I(M) in retaliation to the attack meted out on the vehicle by the deceased which was carrying the prominent leaders of the leftist party. The court speaking through Mr Justice Kamal Pasha severely criticized the failure of the state machinery to conduct proper investigation in the case. The court expressed serious doubts on the credibility of the investigation which had eschewed the A.32&33 from the offence of criminal conspiracy and limited themselves to concealing design to commit offence (S.118 Indian Penal Code ,1860)whereas the other accused who were present along with them at the same room and place at the relevant time and date had been booked for the said offence. The Court in its judgment observed as follows “Even the learned director general of prosecution has practically confessed before this court that the state’s police machinery could not conduct a proper investigation in the matter and could not probe the matter because of the intimidatory tactics and attitude of a political party to which A 32 and A33 are leaders. If self- proclaimed kings of the locality are permitted to rule in the matter of investigation,criminal justice will become casualty in their hands. The courts cannot remain as mute spectators to such intimidatory tactics being played by such elements to protect persons partaking in heinous crimes. The same has to be viewed very seriously”. The court further held that owing due to the blatant unfairness in the investigation coupled with the factum of the report of the State Police Chief even though, calling for a further investigation under S. 173(8)(Cr.P.C), the same could not effectively take place under the State Police machinery due to the specific circumstances pointed above by the Director General of Prosecution, Mr Asaf Ali. The D.G.P hence contended that for a proper investigation in the matter even though the State Government has issued a notification handing over the investigation to the CBI, the Central Government has not reciprocated in whatsoever manner in that regard. Given the said set of circumstances, the court thereupon said that its stepping in by exercising the powers under Article 226 of the Constitution of India, 1950 as well as its inherent powers under Section 482 Cr.P.C to order a further investigation in the matter by the CBI. Even though the central government had expressed a view that CBI is flooded with similar investigations and hence they cannot take up matter, the court observed that CBI cannot wash its hands by taking such a approach. The court brushing aside the stand of Central Government and ordering further investigation by CBI observed as follows “In a particular locality of the State, when a proper investigation is not possible by the State Police Machinery, the State can seek the aid of the Central Government in getting the matter investigated by the CBI”. The court has also directed the State Government as well as State Police Chief to offer all assistance as well to provide necessary infrastructures to the CBI for the smooth and complete further investigation of the case.